Tahiti Dive Management was created in 2000, by Yannis Saint-Pe, to offer private scuba diving guides to super yachts visiting French Polynesia after being asked to provide this service while managing dive centres in Tuamotu and the Society Islands. Living, working and exploring the 5 archipelagos and waters of Tahiti since 1991 Yannis has built up a exceptional team of professional private scuba guides with specialities including underwater filming and technical diving. During his many years in French Polynesia Yannis has worked with more than hundred of private motor and sailing yachts, and many film production teams and underwater photographers who have wanted to capture the beauty of French Polynesia for print. He is a certified PADI, SSI, CMAS instructor and a specialist in rebreather diving on Evolution +. 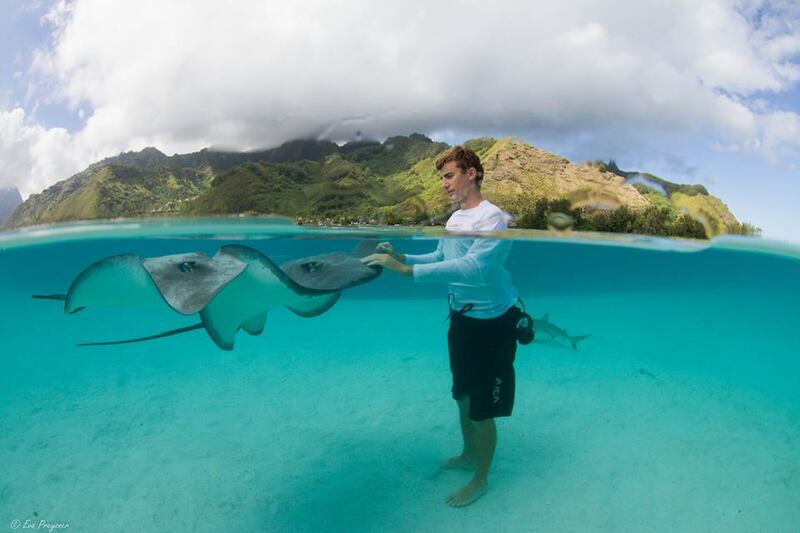 Born and raised in France, Baptiste start to dive at 8 with his family and became instructor at 18.He worked around the world before to move in Polynesia in 2011.His excellent knowledge of the islands, especially in the Tuamotu archipelago and the Marquesas, which he has dived and cruised extensively, make him the perfect asset for a yacht dive trip or films and documentary crews. Two of his speciality is Sharks and Humpback Whales. His experience on yachts in French Polynesia such as SY HEMISPHERE , SY KAWIL , MY ROCHADE , MY NATIONAL GEOGRAPHIC ORION , SY LEVANTE, MY ASKARI…. to name but a few make him an indispensable asset to captains, guests and crews . He is a PADI, SSI, CMAS and Tek diving instructor. Also a Rebreather and Trimix diver. Baptiste have also strong skills in photo/video production , underwater and aerial, and able to offer an customized movie of the trip including scuba diving or any other activities. Peter is our professional cameraman and at your service when it comes to capturing the most precious moments of your vacation. Peter has worked more than 10 years for German television before he setteled down in French Polynesia in 2001 to live his dream – diving and film making. He really loves what he is doing and that is what makes him so successful.With his partner Rachel he made an award winning documentary on shark finning, which undoubtedly helped to create the biggest shark protected zone in the world, French Polynesia, where all commercial shark fishing is prohibited by law since April 2006. More awards for some of his short films he received in Germany, Spain, Cypress and Croatia. 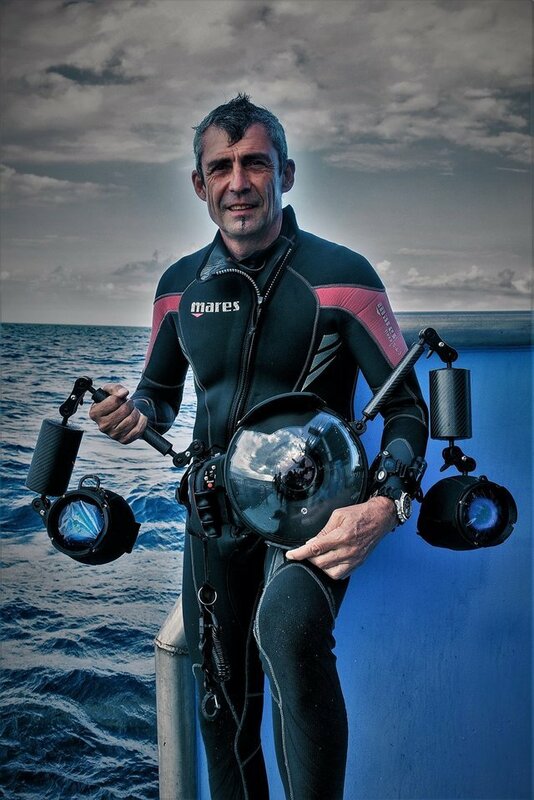 Peter also worked as a cameraman on international documentaries and had appearances on National Geographic about his diving experiences and the footage he shot. Until now Peter is the only person in the world who ever was able to shoot the mating and copulation of manta rays in the wild.Peter’s list of clients includes the Royal Dutch Family and the family of one of the Italian prime ministers.